Notice the difference! 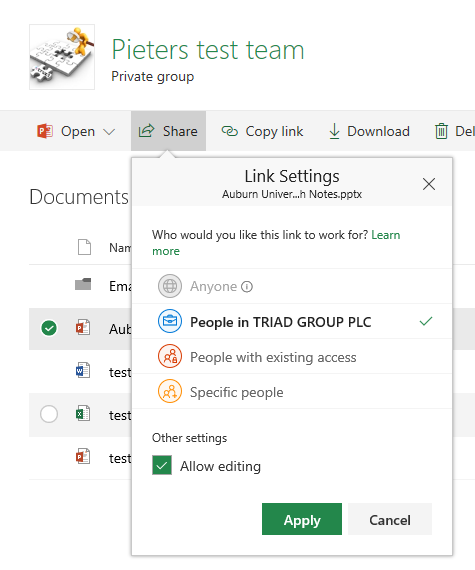 The option to share with your organisation seems to be disabled for list items but not for documents. The odd thing is that apparently my organisation is preventing me from selecting this option. I’m not aware of any setting that can be made related to Sharing that is just for lists or libraries only. 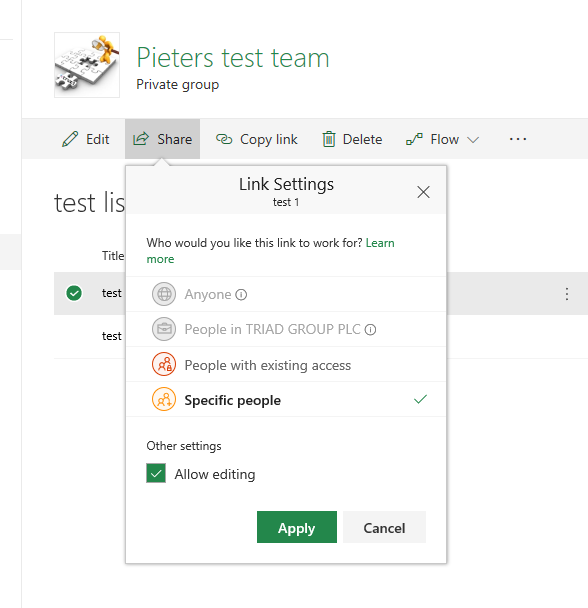 ‹ Microsoft Teams – Seek and ye shall not find?